Pan Controls has launched a smart card system for use with the GP2 general purpose controller. This is a panel mounting device, with a single cable connection (power and communication) to the controller. It allows data storage to standard memory Smart Cards (256 kBit capacity). This allows a machine to be configured for a particular product by means of a smart card. The machine might have relatively complex set-up procedures for different products. By using a Smart Card for each product, the set-up procedure need only be performed once. Smart cards can be printed with information relevant to customers requirements. 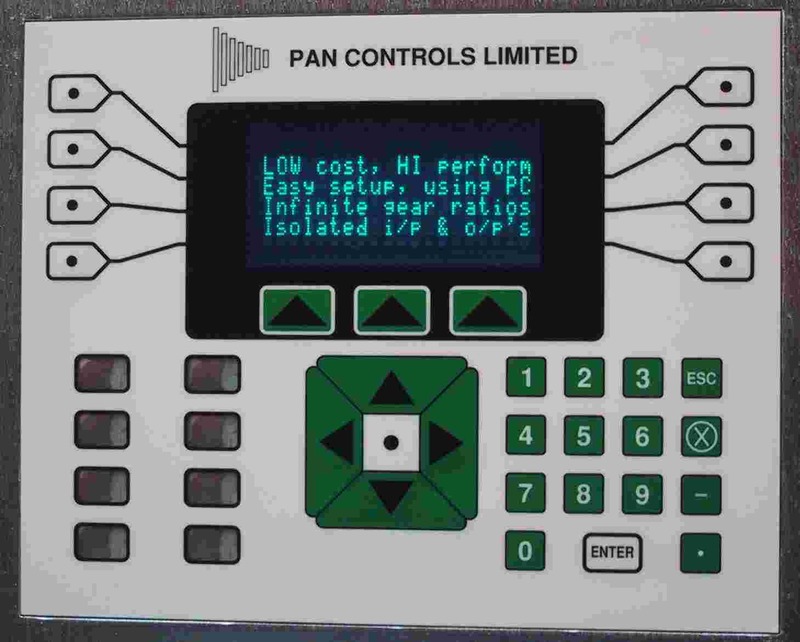 Pan Controls has launched a 1/2 channel motion control system integrated with an operator interface. The new controller combines the functions of an operator interface with a fully featured motion control system. It can be set up to control any type of machine using a flexible programming language. Programmes can be developed on a personal computer using any text editor. User programmes can be downloaded using the PANTERM programme which is supplied with the controller. The control system can be used in conjunction with Programmable Logic Controllers (PLC). Inputs and outputs can be defined individually or as multiplexed groups.